SGS corfu taxi is a family owned business providing advanced and specialized taxi transfer services in Corfu island for more than 40 years. 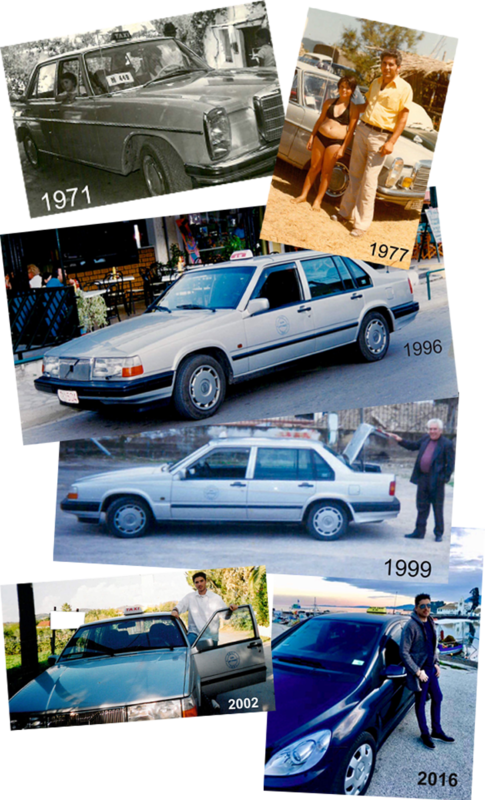 Yiannis Kavvadias, the owner of the business, is a third generation taxi driver with experience at taxi transfers. His goal is to offer taxi services, with safety, consistency, professionalism and politeness to passengers and visitors to island. Yiannis and the rest of cooperated drivers are friendly and experienced drivers and they are ready to transfer you kindly, safe and reliable at your destination. Our base is in Saint George south and we mostly make transportations all over south corfu, but also in Corfu town. We serve any transport need throughout the island making your holidays in this historical and beautiful island as pleasant as you wish. We provide transfers from and to the airport, from Corfu and Lefkimmi port, we can plan and arrange for you tailored made personalized tours to beaches, attractions and archaeological sites of your choice at reasonable anf standard prices. Feel free to ask for any information and we are willing and certainly able to help you.